Emuge offers a comprehensive line of precision fixed limit thread gages consisting of GO / NO-GO plug gages. 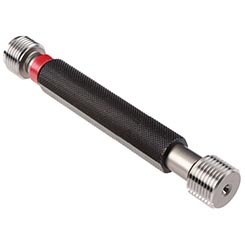 Plug gages are designed to inspect the pitch diameter and functional thread for internal-thread components. All plug gages are available with Certificate of Accuracy documentation.